Meant to Live: Can a mental illness physically hurt? For anyone who has gone through a broken heart, at that moment, you could almost be sure if you were to get an X-Ray, you'd see a fissure in the middle of your chest. That's how badly it hurts. Sometimes, emotional pain can be so extreme that it actually hurts physically. So, the answer is yes — depression, as well as any other mental illness, can translate into physical pain. I have even heard of people going to the hospital, complaining of a pain in their chest or another physical ailment, not even realizing they are, in fact, suffering from a mental illness. I'm not sure how anyone could ever think, then, that mental illness is a weakness. I think this shows proof that mental illness is a disease when it actually affects your physical health as well — so much so that some people actually misinterpret it for a heart condition or other ailment. "These physical symptoms aren't 'all in your head.' Depression can cause real changes in your body," the article states. 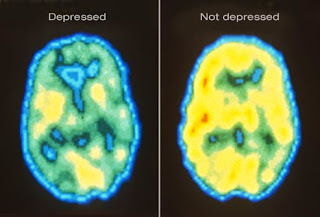 "Depression seems to be related to dysregulation of nerve cell networks or pathways that connect brain areas that process emotional information. Some of these networks also process information related to how the body senses physical pain. So many experts think that depression can make you feel pain differently than other people." In many cases, treating your mental illness will also make these symptoms go away. If you are experiencing any of these symptoms, it could be a mental illness or another kind of illness. Either way, make sure to tell your doctor ASAP.